Japanese cuisine! Old-School vinyl! Garden gnomes! Welcome to what might very well be the East Village’s best few blocks. We all have a street. The one we always seem to gravitate to for coffee, first dates, window shopping, and horse yoga. In our new column, Street of the Week, What Should We Do?! editors and writers will share the stretches of pavement that mean the most to us, and what you should eat, drink, do, and check out if you decide to walk a few blocks in our metaphorical shoes (we need our real ones!). Next up: Ally Schenker, WSWD’s editorial and production whiz, takes a stroll down her fave East Village street. Growing up in NYC, the East Village was my go-to source for discovery. I spent countless weekends getting lost among the vintage stores on East 9th and 10th Streets and perpetually entering food comas induced by Artichoke’s artichoke pizza (if only I knew Mark back then). Every street in the East Village has its particular charm and quirk—but for me, nothing beats East 6th Street. What many people crave when living in a busy city is a neighborhood vibe. On East 6th, that feeling is in abundance. The blocks are studded with community centers and gardens, and every restaurant prides itself on being a local gem (the owner of Mayanoki even stopped me on the street to introduce himself, unaware of my editorial mission). From the many tiny Japanese specialty nooks to established cocktail bars like Death and Co., it’s taken all my 23 years to explore the many hidden secrets of this block—and I’m sure there’s still much more to find. 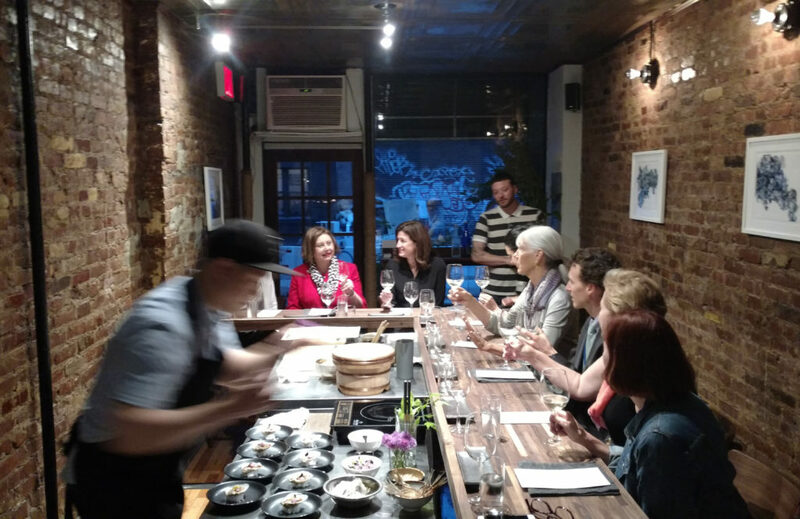 For a deep NYC immersion in Japanese food culture, this street can’t be beat. Hidden behind blue and beige hemp curtains is Raku, a restaurant that specializes in udon (the thicker, chewier noodle found in soups and stir-fries). The design—a discrete entrance and minimalist interior—transports you straight to Tokyo. 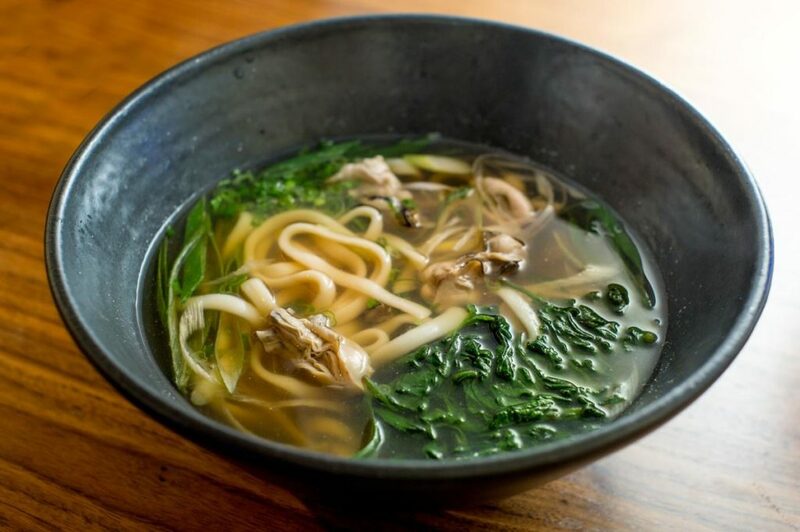 Start off with a light appetizer of oshitashi (warm spinach salad), and continue into a DIY flight of cold and hot udon noodle dishes. My favorites include the duck breast and the Tokyo negi hot udon soup, as well as the spicy miso pork and cucumber cold udon stir-fry. For traditional Japanese pub food and an excellent sake selection, head up 6th to Izakaya. The menu is meant for sharing (and lots of drinking). The staff will likely highlight a crispy and creamy chicken nanban, as well as the “addictive cabbage” (trust us). Let your waiter guide you through the restaurant’s sake for perfect pairings. This is the type of place your crew will want to stay all night. The East Village is the spot when it comes to low-key sushi masterpieces (Takahachi, Kanoyama, Sushi Dojo, and Hasaki, to name just a few), but Mayanoki stands out from the crowd for being the only sustainable sushi restaurant in the city. All of the seafood is sourced from local fishermen—and all wine pairings come from New York State (it has a WSWD-approved Rooftop Reds bottle on the menu!). The sushi is served omakase style for eight diners per seating. The $95 price tag may hurt a little, but owner TJ Provenzano keeps the vibe so fun and homey you’ll find it worth the pain. Amor y Amargo, at first glance, looks like an old-school liquor store. Inside is a shadowy, intimate space serving Italian cocktails and bitters. A house favorite is the Sharpie Mustache, which comes in a small whiskey bottle with a mustache sticker on it. Perfect for silly selfies! Bonus: The drink, made with Meletti, rye, gin, and Tiki bitters, is really delicious. 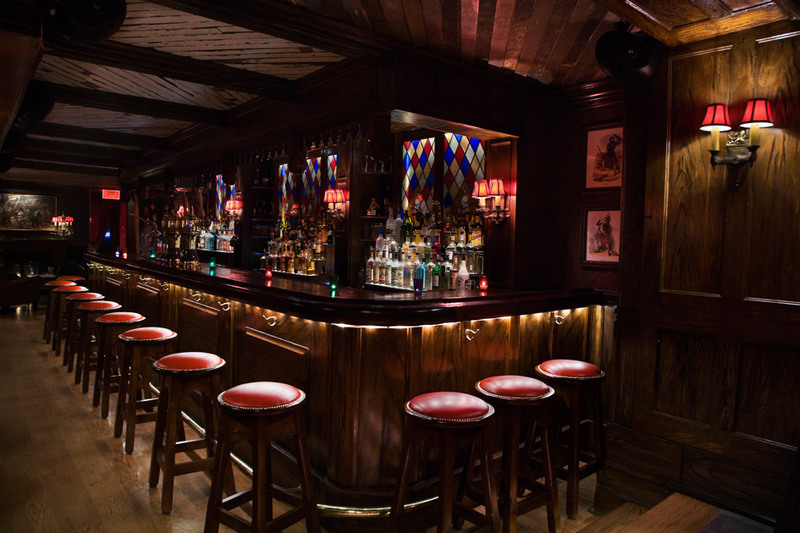 For a serious cocktail bar, Death and Co. is not just the best on the street but arguably the greatest in the city. (And don’t let the morbid name fool you—it’s actually a blast!) The austere storefront hints at the magnitude of the drink-mixing inside, while the ancient-looking olive wood across the door, the stylishly scripted Death and Co engraved in the cement, and the serpentine door handle complete the look. If you bring your squad, invest in the Giant Zombie Punch, which comes flaming and will get you guaranteed lit (sorry, had to). At A-1 Record Shop, even the ceilings are lined with records—as in vinyl. 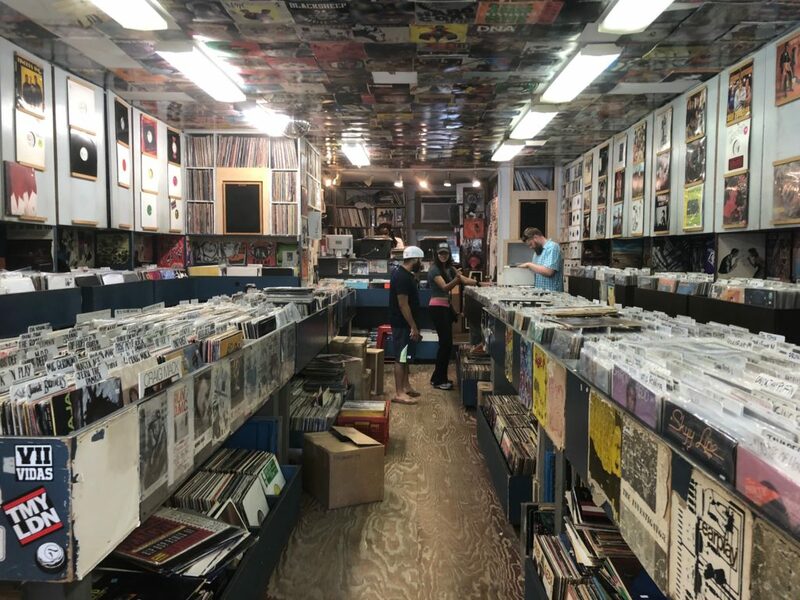 Throughout the day, customers and DJs like Ron Morelli curate the space from A-1’s selection, ranging from funk and house to far beyond. Legendary DJs including Tony Touch, DJ Premier, and Pete Rock—pictured in Polaroids throughout the shop—have used A-1’s vinyl as inspiration for their own spins. Video Games New York is a trip down pixelated memory lane. I always squeal at Pokémon Nintendo 64 (it was the only interest my little brother and I had in common). This tiny space seems less like a store and more like a boutique museum, traversing the history of gaming—and, apparently, my childhood. Despite all the buzzy restaurants and bars, East 6th is a particularly leisurely street. The coffee shops like Elsewhere Espresso are second homes for locals who squat all day on their comfortable couches and snack on “Levain style” cookies. 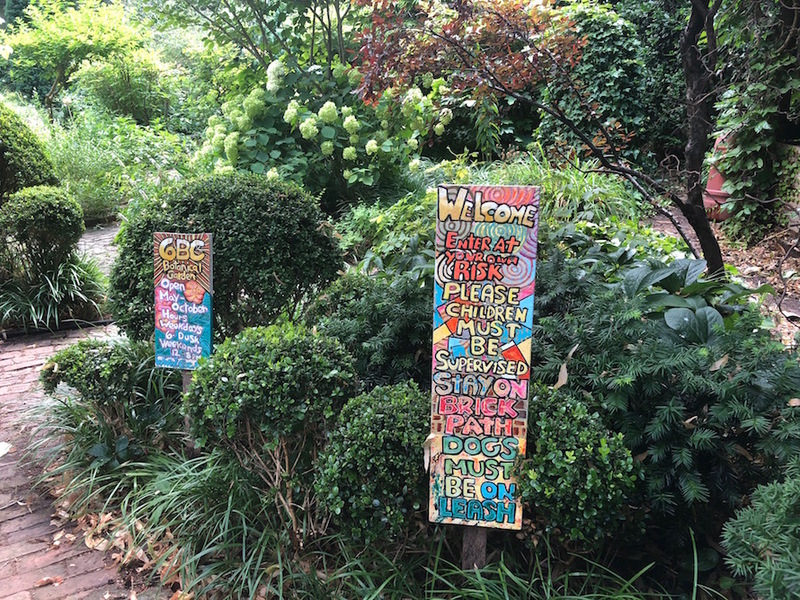 Beyond these caffeinating destinations, residents relax in the abundance of shared spaces—like the Community Synoguge, Sixth Street Community Center, and the neighborhood gardens (see below). With the beautifully cynical humor of many East Villagers, the 6BC Botanical Garden welcomes visitors with a sign reading: “Enter at Your Own Risk.” After passing this psychedelically designed warning, you’ll find freelancers and meditators sprawled throughout the oasis. Behind a yellow gate sits Creative Little Garden, a bucolic space filled with benches, string lights, and small, inventive Easter eggs like mini gnome sculptures, a waterfall, and handwoven birdhouses. The central meeting space of the garden is a large willow tree, where events such as the local-musician-powered Music Under the Willow series happen. It doesn’t get more chill than that. Don’t worry, we’ve got recommendations for all the streets. Download our mobile app for the very best of New York, wherever you are or plan to be.